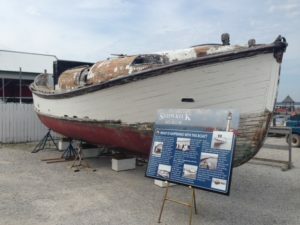 What’s Happening at the Shipwreck Museum in August? CG36381 Motor Lifeboat on display at Mertaugh Boat Works on Saturday, August 10. 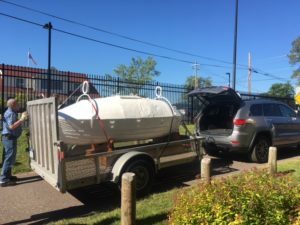 A Francis Metallic Life-car on its way to the Shipwreck Museum! Thinking about a trip to the Eastern Upper Peninsula before summer ends? If so, consider a visit to the Great Lakes Shipwreck Museum! It’s a perfect time to visit, and the you can see some exciting new elements in our Lighthouse Keeper’s Quarters and Surfboat House.If you are in the Les Cheneaux Islands area this weekend, come visit us at the 41st Annual Antique Wooden Boat Show (Saturday, August 11, 2018) in Hessel, MI. We’ll have our U.S. Coast 36′ Guard Motor Lifeboat, #36381, on display just behind Mertaugh Boat Works. For more information about the boat show, see, http://www.lciboatshow.com/. 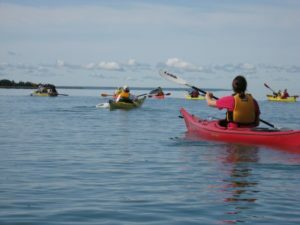 If you are a kayaker with an interest in Lake Superior’s southeast shoreline, Bird’s Eye Outfitters and the Great Lakes Shipwreck Historical Society have teamed up to bring you a kayaking experience that will take you on Superior’s infamous Shipwreck Coast. This trip, scheduled for August 21, 2018, is for those who have intermediate paddling experience. 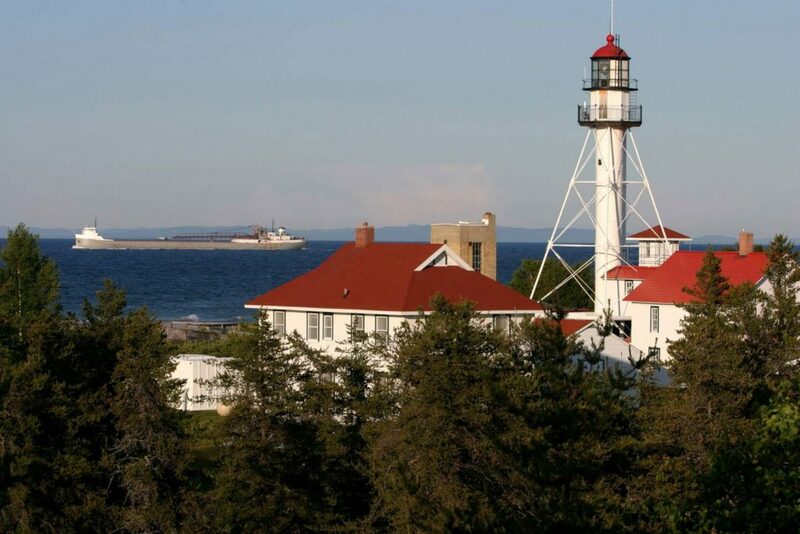 It will be a full day experience where you and your gear are transported to Crisp Point Lighthouse for a paddle to Vermilion Point Life Saving Station and then finally end at Whitefish Point Lighthouse. This is a very remote area of Lake Superior with pristine beaches and wildlife viewing opportunities. You’ll also discover the U.S. Life-Saving Service/U.S. Coast Guard Life-Boat Station, and U.S. Lighthouse Service history surrounding these old stations. There is also protected habitat for endangered species and much information about the shipwrecks in the area. Join us on this one of a kind excursion that you will not soon forget! $50 additional for kayak rental. Contact Bird’s Eye Outfitters. Captain Jitka Hanakova will speak at the Shipwreck Museum on August 30. 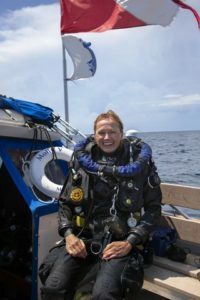 On August 30, at 6:30pm, Captain Jitka Hanakova of Shipwreck Explorers, and Emmy award winning underwater photographer/videographer Becky Kagan Schott, will present the Wreck of the Alice E. Wilds. Watch for more information to come on this exciting program! 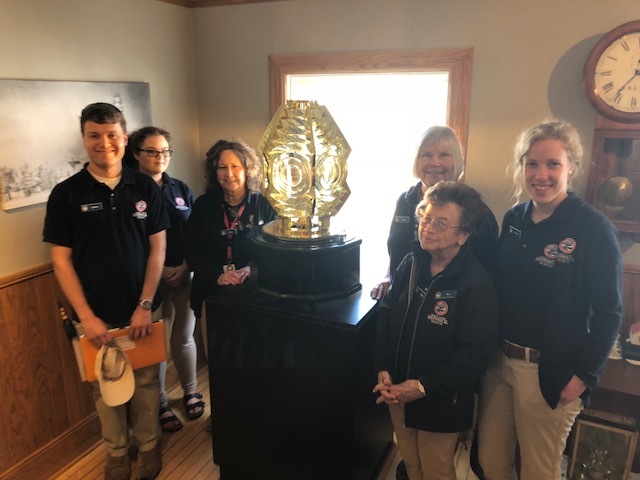 A new piece of Lighthouse Service history just arrived at the Shipwreck Museum!